Recently, we have undertaken a new outreach program at our mission in the Hill neighborhood called GARLiC (Green Art Renewing Life in Community). Its purpose, as outlined ably by its program director Sarah Raven, is “to encourage ‘upcycling’ and green art as a means to reduce consumer spending, increase art appreciation, and help the environment by reducing municipal waste in ethnically diverse, low income, urban neighborhoods.” Essentially we are working to take that which is being discarded and using it to create something beautiful. I have been thinking about the implications of this sort of work for the broader life of the Church and keep wondering what it is that we are throwing away in our rush through modern life? Are there people, institutions, liturgies, prayer practices, and more that we are ignoring in our attempt to find something new that seems more relevant? What do we make of these disparate pieces? My sense is that we are moving into an age of what I might call mosaic ministry. A mosaic takes bits of that which is broken and creates a work of art – sometimes even sublime and breathtaking art. How can we, as a community of believers, take the pieces of our history and stories and arrange them alongside new ones to form an icon of Christ in the world. Just gluing together broken pieces in an attempt to hold on to an old form creates a cracked (and unstable) replica of the former rather than a new work of beauty. As we look around the Church there are troubling signs abounding. All of us know the challenges of declining budgets, decreasing attendance, strained volunteers, and compassion fatigue. Yet I wonder how much of all of this is linked to the simple fact that church, as we know it, doesn’t work? There are pockets of success to be sure, but all around us we are witnessing the geography of our society shifting dramatically and unceasingly. This doesn’t mean that the Church doesn’t work – but that our understanding of what it means to be the church is cracked, breaking apart, and no way of gluing it together will force it to hold its old form in the face of new stresses. We are entering a time of mosaic ministry – a time when the pieces have to be gathered up and put back together to form some new work of holy beauty that shows forth the image of Christ anew. Our society is one that is hyper-individualized and networked rather than organized. The cultural trends are such that any church that is simply an institution that one signs up for is bound for failure. The same organizations that once represented the backbone of civic society (clubs, fraternities, civic organizations, boards, &c) are facing similar decline. How many people are flocking to join the Elks? Sure they do great work and have a storied history and yet they are on the downward slope of decline. Most fraternal organizations have seen a decline of a third of their membership or more, while others, including the International Order of Odd Fellows, have seen a membership decline of almost 98 percent in the past century. Yes, the Church is not the Elks club, but it is facing the same cultural headwinds that these sorts of organizations face. Ever more elaborate churches, over history, have been designed to make visible the invisible – to say something of the glory of the Holy One, the mystery of that Being, and the coming together of the divine and the human. As we focus our common life on answering anew who Jesus is, we can build a Mission-Shaped church that, by its life and witness, makes Christ known as it works, prays, and gives for the glory of God. The structural, programmatic, and institutional answers to our dilemmas will be almost irrelevant (or at least as relevant as choosing the kind of marble for a tombstone) without serious work as a community of faith to offer a compelling answer for ourselves and for the wider world about our belief in the person and power of Christ in our individual and common life. Who do we, as a community and as individual believers, say Jesus is? How we answer that question will shape, guide, and direct mission and ministry. How is he reaching out to us (and us to him)? Who is he calling us to reach out to as his Body? Where is he leading that we fear to follow? More important than what God is calling us to do is who God is calling us to be as a people formed in the image of Christ. How do we live into the reality of Baptism as a community in this day? 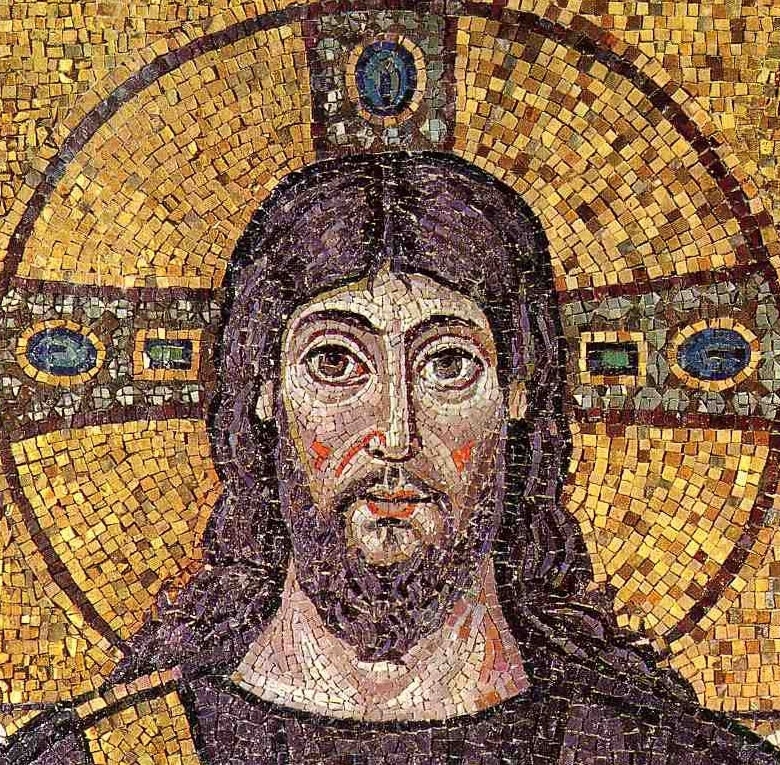 How do we see ourselves fitting into the mosaic image of Christ in which each piece helps form an icon of Christ’s living Presence in the Body? We can thank God that we have the pieces all around us, especially as Anglicans, to face the challenges of the day. We have a rich liturgy, an appreciation for complexity, a respect for individual conscience, an identity that stretches back into the deepest parts of the Christian tradition, and an understanding of God’s action in the Sacraments. Most importantly we have the witness of Jesus Christ to fall back on when the challenge seems too daunting. These and many, many more pieces are all about us waiting to be put together in new and creative ways that tap into the richness of our shared history to offer a still more excellent way of being the Church. People are aching for a Church that is less a monument than it is a movement and is less entertainment than it is a way of life.